How to grow cucumbers ... according to our gardener ... is easy ... easy to grow too many ! Provide space for growing cucumber plants and thin them ... His best growing cucumber advice. Time for him to do as he says !! Although he does have trouble with the Plant-ricide part of it . 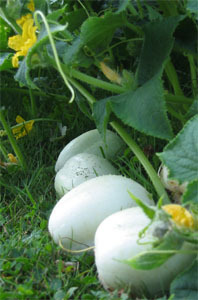 Different cucumber varieties are used when growing indoors and out. Indoor varieties do not pollinate ... only girl flowers. ... the result may be awkward or bitter cucumbers. ... once the pollinators have done their business ... growing cucumbers aplenty. ... Himself is growing cucumbers in the container vegetable garden too. ... 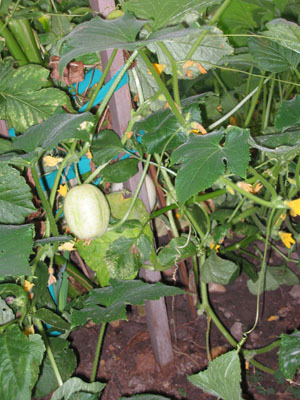 Growing Cucumbers require warm garden soil. ... three weeks after the last frost ... end of May or early June. ... gradually getting them used to outdoor temperatures and real sunshine. 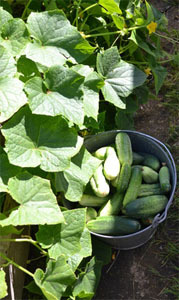 ... A steady supply of cucumbers through the summer. ... during hot dry spells afternoon shade is okay. Garden soil well built with organic compost is best. 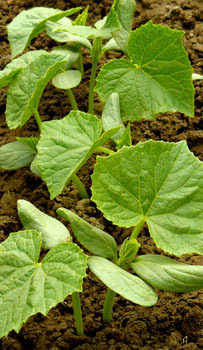 Cucumber plants, the same as most vegetables require well drained soil. 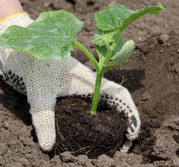 How to Plant Cucumbers is a big part of How to Grow Cucumbers. ... Snip the stems off at ground level ... leaving the remaining plants undisturbed. ... often showing mercy and ending up with a jungle of cucumber vines. How to grow cucumbers ... lots of them ! 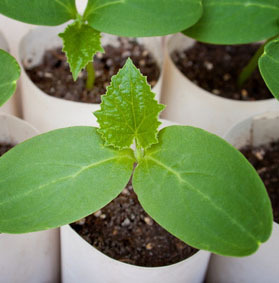 Plant seeds spaced the same 1 inch deep ...Thin the cucumber plants leaving the healthiest. 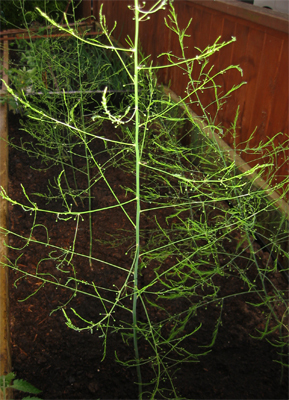 Bush cucumber plants need much less space ... ideal in a small vegetable garden. 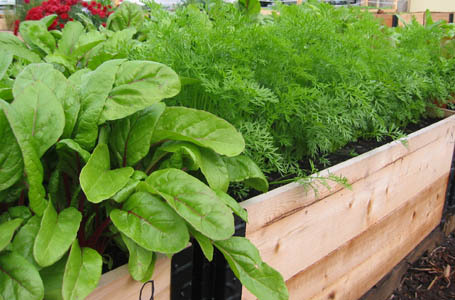 ... is Raised Bed Gardening ! How to grow cucumbers up and not out ? ... water gets to where it is needed not on the leaves. ... whether for slicing cucumbers or pickling cucumbers he has so many they are being given away. 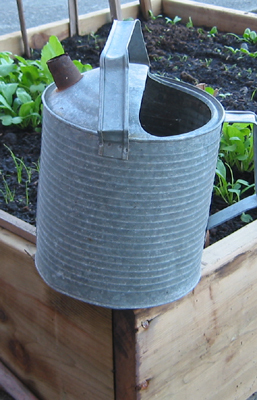 WATER ... may be the single most important part of How to Grow Cucumbers. Cucumbers are composed of 90% plus of water ... so, the importance of water. ... Water the roots and garden soil not the leaves. 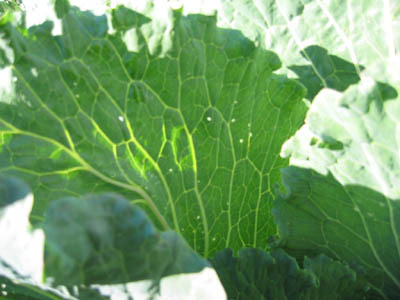 ... Water and moisture evaporation can be slowed by mulching. 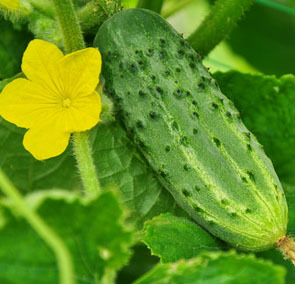 ... Water deprivation may cause Bitter Cucumbers as well as poor growth and yields. 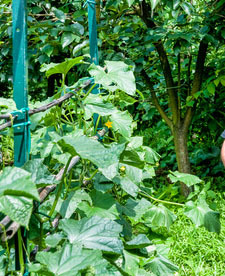 Harvesting cucumbers on a regular basis encourages more growing cucumber. These last two needs ... if not met ... means bitter cucumbers. Cucumber varieties are many ... which one to choose ? ... Mrs. Gardener says these are excellent slicing cucumbers. Another good choice from the cucumber varieties avalable would be seeds labeled disease resistant. Cucumber problems ... Stress ! ... we vegetables have seen none of these in our backyard garden. Why learn how to grow cucumbers ? ... in his sandwich .. a little onion .. a little tomato too ! !